Story behind the name & number: 42 is my lucky number, the ultimate answer. 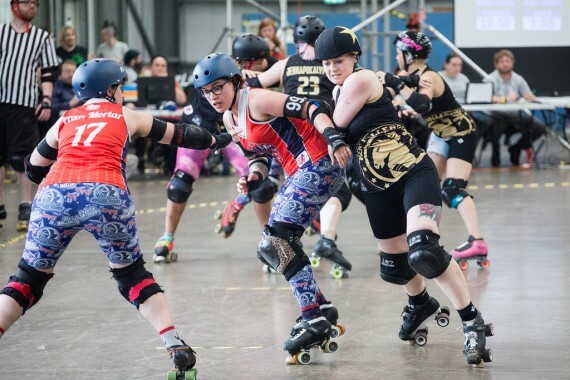 Jammer or Blocker? : BLAMMER! I’m learning to love taking a star pass. 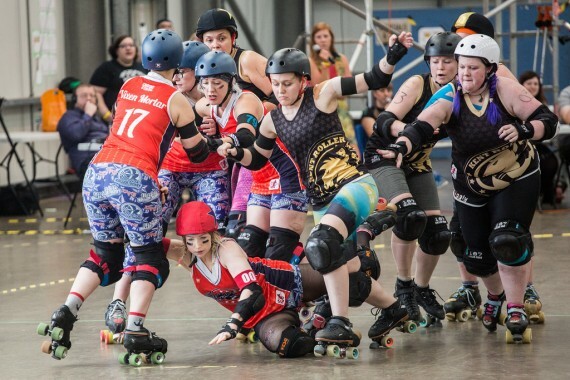 Derby role model: I love V Diva’s strength…one day I would like to be that kind of pivot. 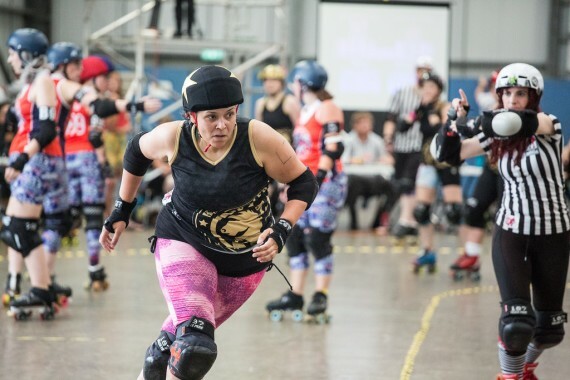 Why roller derby? : Because you can’t legally hit people in Badminton. What goes through your mind before a game? : where can I get a Burrito when we are done here? 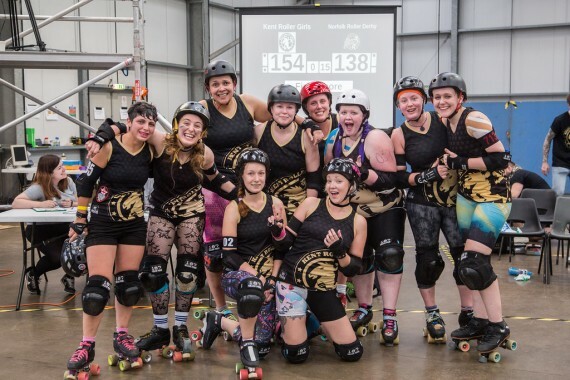 Your favourite WFTDA team to watch? : Goffum for defence, Crime City for Curly Haar’s jamming. What do you like to do off the track? : I play netball and do the occasional Park Run.